Below is the 2018 season recap for the New York Jets. The New York Jets continued their rebuilding process behind rookie quarterback Sam Darnold, but even a rebuild couldn’t save head coach Todd Bowles’ job after a 4-12 finish. Second-year safety Jamal Adams showed off his star power, ranking second in the league with an 89.7 overall grade during the regular season. He led all safeties with 44 defensive stops and also led the way with 22 pressures. 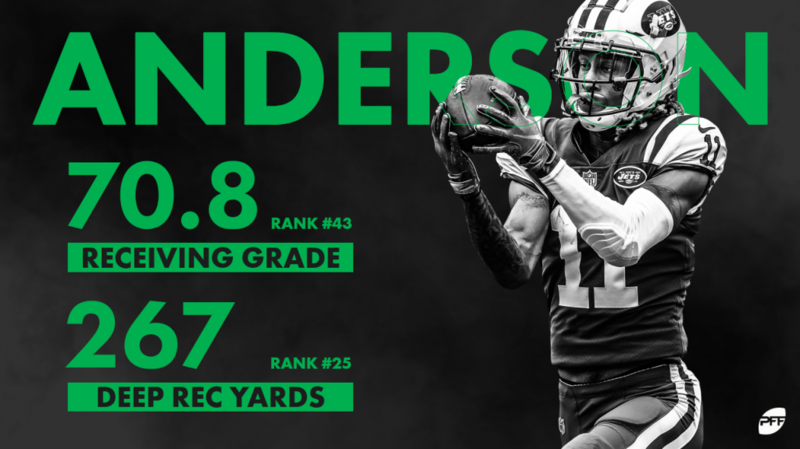 Wide receiver Robby Anderson has continued to find his groove, ranking 25th in deep receiving yards at 267 to go with a solid 70.8 receiving grade. Left tackle Kelvin Beachum allowed just 28 total pressures and just six combined sacks and hits, the second-lowest total of his career. 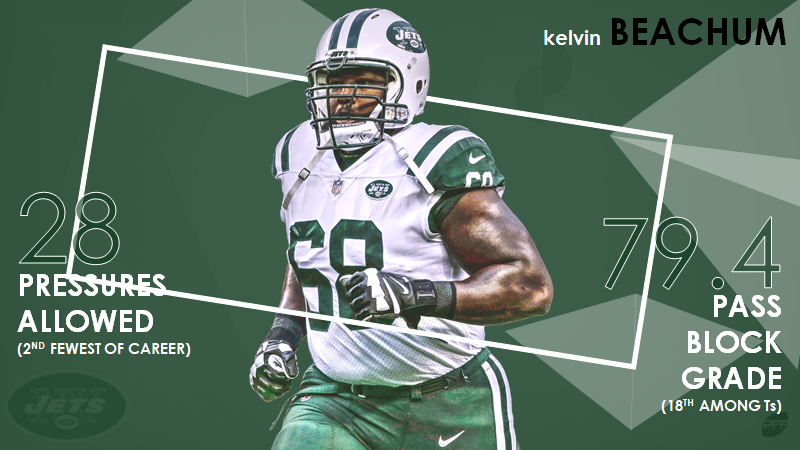 His 79.4 pass-blocking grade ranked 18th among offensive tackles. 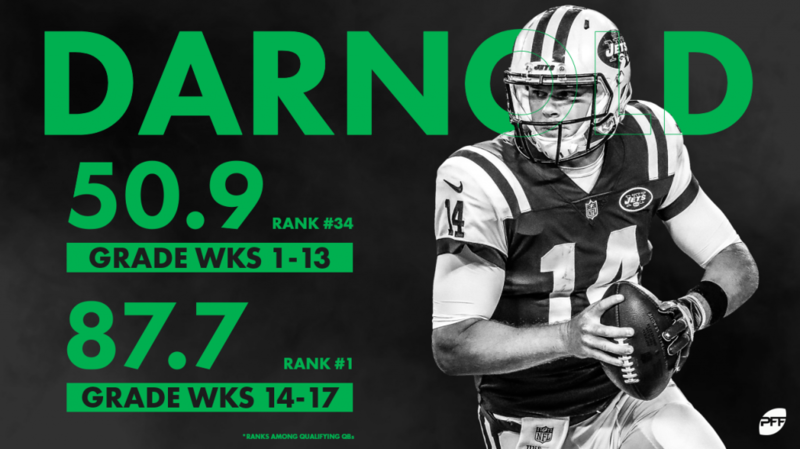 Sam Darnold struggled early on during his rookie season, though he did show signs of life down the stretch. His 64.7 overall grade ranked 29th among NFL quarterbacks, but his 87.7 mark was the best in the league from Week 14 through the end of the season. 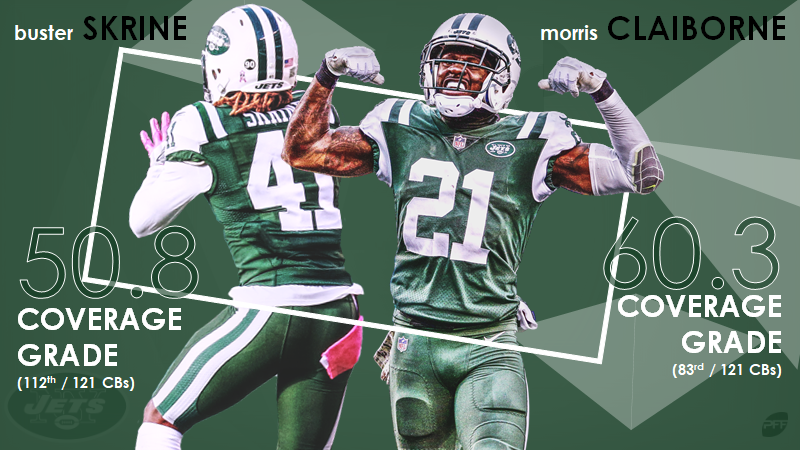 The Jets’ coverage was inconsistent on the back end, as cornerback Morris Claiborne allowed 662 yards to go with a 60.3 coverage grade and Buster Skrine allowed a passer rating of 124.2 into his coverage, good for a 50.8 coverage grade. The pass rush was once again an issue on the edge, as Brandon Copeland led the team’s edge rushers with only 38 pressures on 357 rushes, good for a pass-rush grade of only 56.2. 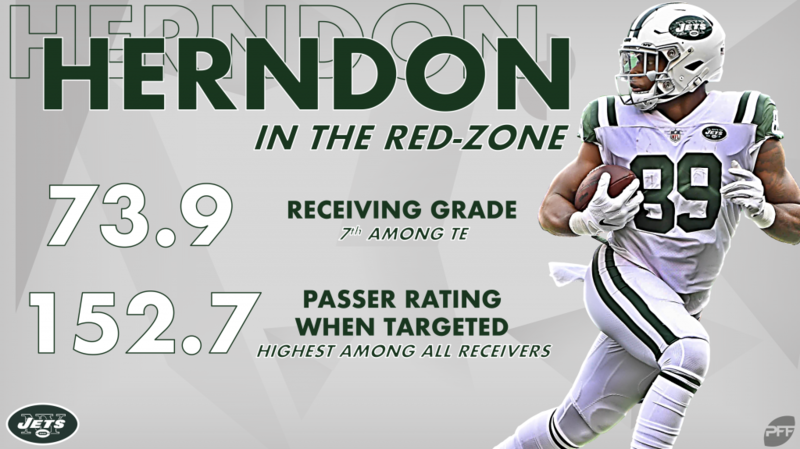 Rookie tight end Chris Herndon earned the highest grade on the offensive side of the ball at 74.1 overall, with most of his damage coming as a receiver where he graded at 78.9, tops among all rookie tight ends. 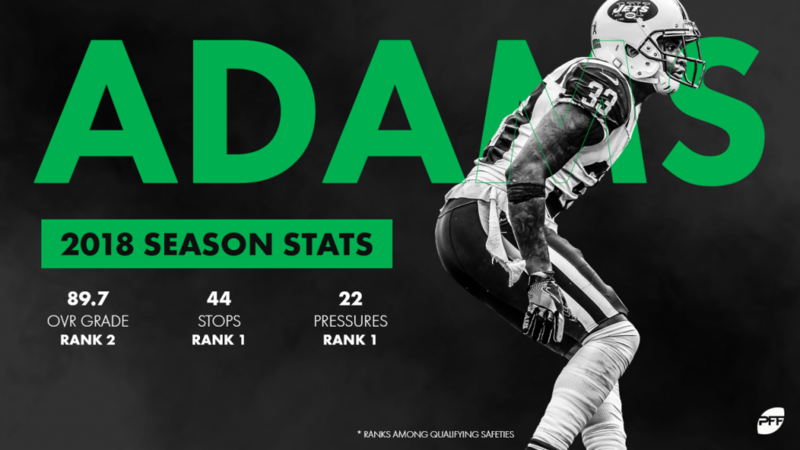 Adams was the highest-graded player on the defense at 89.7, and he ranked third in the league with an 89.6 coverage grade while finishing 13th against the run and fifth as a pass rusher. 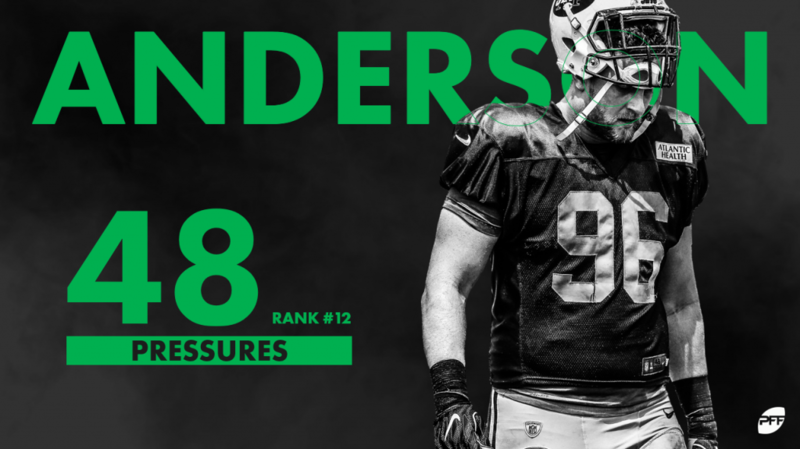 Interior defensive lineman Henry Anderson was the secret superstar for the Jets as he finished second on the team with 48 total pressures – 12th among interior defensive linemen in the NFL. The rebuild continues in New York behind head coach Adam Gase, and they’ll look to add impact talent in both the draft in free agency this offseason.